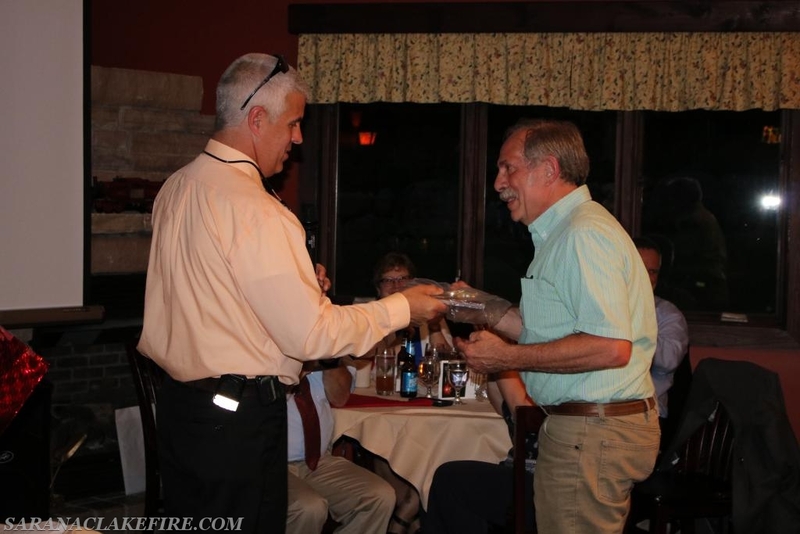 On Friday 6/15/2018 the Saranac Lake Volunteer Fire Department held its annual awards banquet. 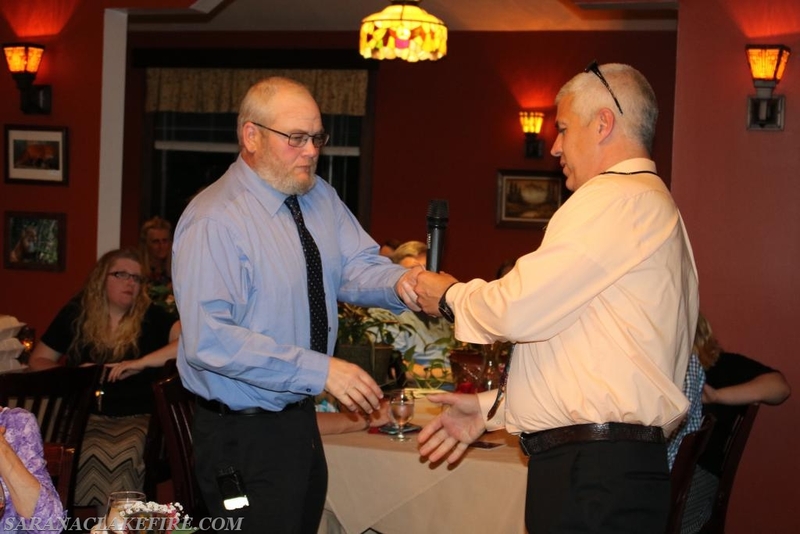 The annual banquet is our time to celebrate the hard work and effort put forth by our members each year. 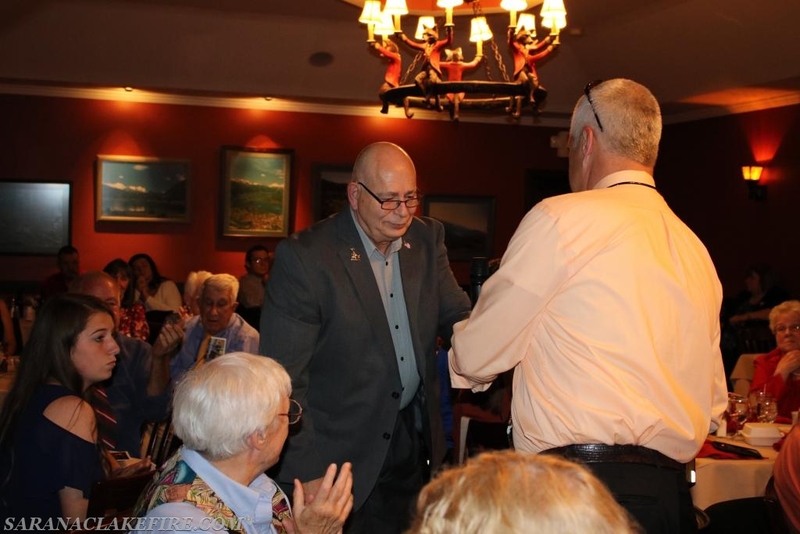 It is also a time for our families to enjoy a night out and to hear the words thank you for the sacrifices they make each and every time the members are absent on calls, trainings and meetings. The awards presented included the following. Top 5 Responders went to. The "Chiefs Award" is awarded annually by the chief of the department to the person he or she considers to have made the most outstanding contribution to the department during the course of the preceding year. 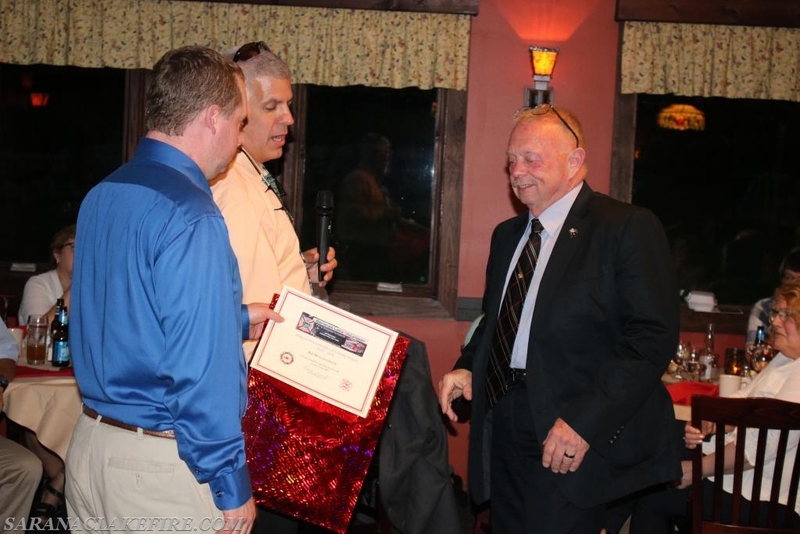 Instituted in 1989 by Chief Don Duso, "Chiefs Award" recipients are honored at our annual banquet with a plaque. A perpetual plaque is also maintained at the fire house listing all previous recipients of the award. This years Chiefs Award goes to Michael Knapp. Michael has officially only been a member for a short time, however over the years he has done a tremendous amount of work for us. Michael has been our go to guy for years when it comes to setting up electronic equipment on our vehicles and can be counted on for many projects. Since Michael has joined officially he not only has become the top responder for the year but he has gone above and beyond by taking on many projects around the station. He has truly been a great asset to our department. 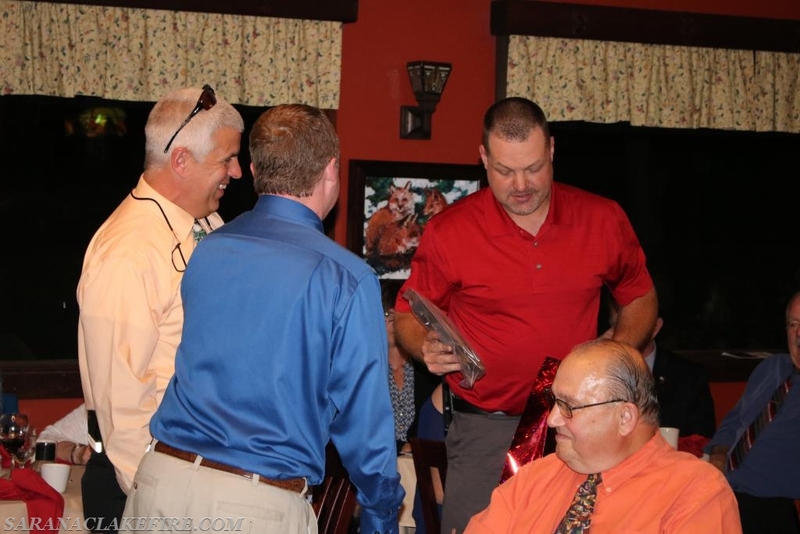 The Ruth King Valor and Community Service Award is a very special award that is presented to a community member each year who has demonstrated exceptional support to the SLVFD. It is named after Ruth King who was the subject of a dramatic rescue from the 1964 St. Regis Hotel fire by Past Chief Preston Burl. This year’s recipient is Rick Hazen. Rick is a firefighter in another department, however over the years he has shown exceptional support to our department. Specifically Rick is being cited for his continued support of not only our department but for his support of Stop DWI programs throughout the area. 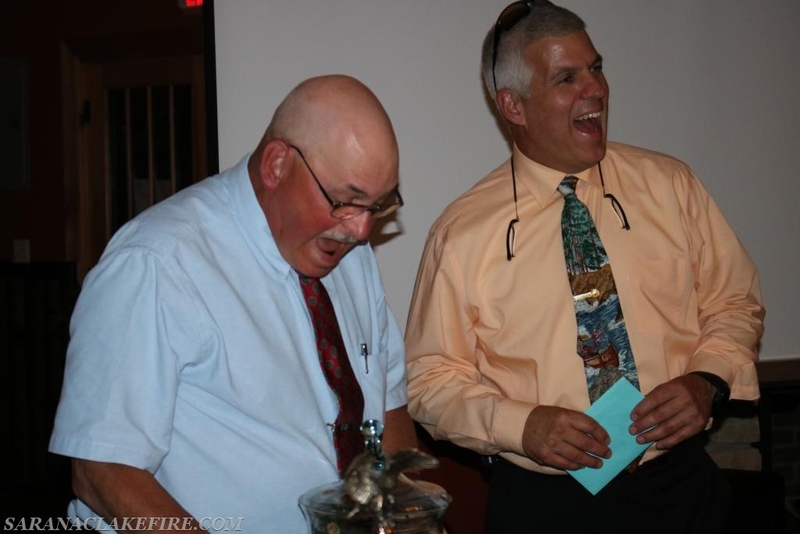 Rick is a great asset to the fire service community and specifically to our department. Please take some time to enjoy the photos and the annual slide show. If you happen to see an SLVFD member or an SLVFD family member perhaps take the time to introduce yourself and thank them. They truly are remarkable folks. 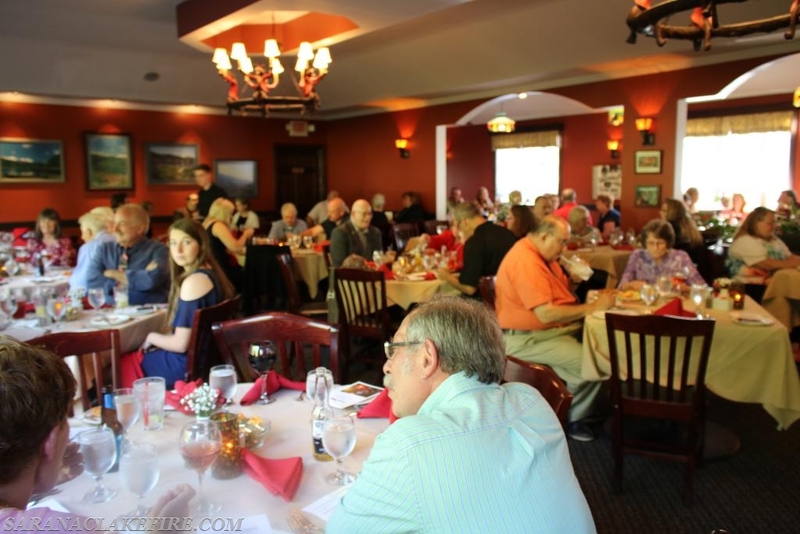 Our banquet is a chance for us to show our appreciation. Sorry I missed the activities but I didn't get an invite. Miss you guys.